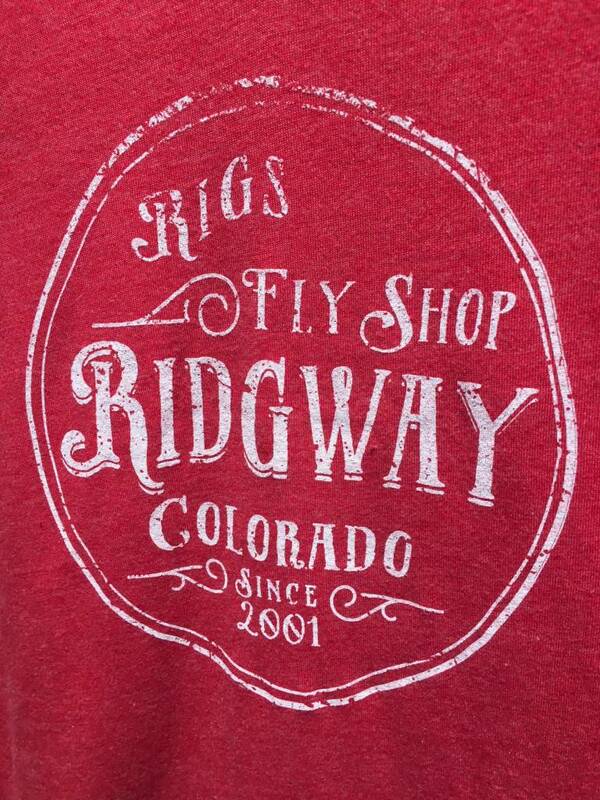 Support RIGS Fly Shop and Ridgway, Colorado with this women's tee. 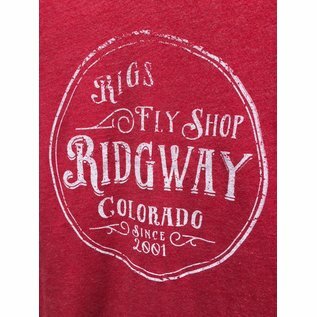 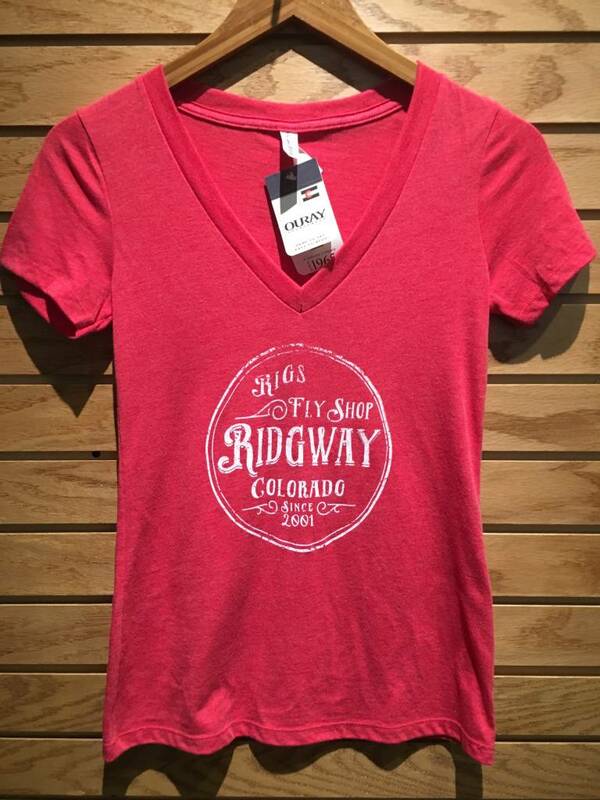 A favorite at the shop, this super soft women's red v-cut t-shirt with white lettering reads, " RIGS Fly Shop; Ridgway- Since 2001. 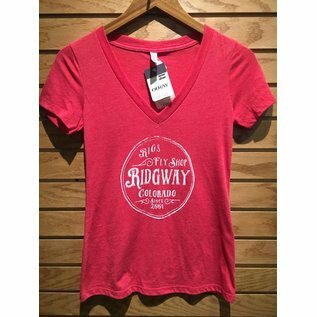 50% Polyester/25% Cotton/25% Rayon - 4.3 oz.